Home → News → The Latest → Who’s on your personal Board of Directors? The other day I attended a great book group meeting. We discussed The Four Agreements, by Don Miguel Ruiz. If you haven’t read this short, inspiring book, you really should add it to your reading list. Toward the end of the meeting a woman mentioned something that really touched me. She talked about her Board of Directors, mentioning she was the CEO. For a brief moment I wondered how she made her living. Then she began naming the people on her board, beginning with Mary Poppins! Turned out this was her personal Board of Directors – the group she went to for advice and counsel. I was fascinated by this! 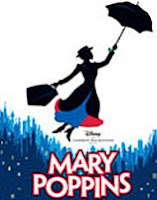 I loved the idea of having Mary Poppins on my personal board, but I wondered who else I’d invite. 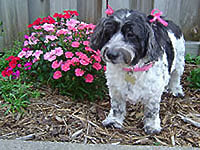 It goes without saying that my beloved dog, Jake, would be there…someone would have to remind me it was time to play! I knew Fred Astaire would have to be there, too, for at those moments when I’m befuddled by some confusing problem I suspect a few spins around the dance floor in Fred’s arms will be just what I need. I want the Dalai Lama there, too, for wisdom and perspective. When I look at his beautiful face a calm peace settles over me. Perhaps my Mom could be on the Board. I lost Mom to Alzheimer’s three years ago, and I believe she might have some valuable advice for me, now that she can see things with both her earthly eyes AND her angel eyes. Finally, I think I’d like Wall-E to be part of the group. If you didn’t see this animated movie last year, PLEASE add it to your video list. Wall-E looks at everything with the innocent eyes of a child. 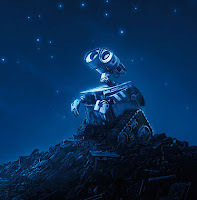 On those days when Mary, Fred, Jake, Mom and the Dalai Lama can’t get through to me, I suspect Wall-E might have just the medicine I would need…taken with a spoonful of sugar, of course! Here’s something to remember about your personal Board of Directors – you can fire a member any time you want! Whether that member was invited by you, or showed up all on their own, if they aren’t serving you well, they’re gone! So, who would be on your Board of Directors?